If ever there was a plant deserving of the moniker “magic beans” the runner bean is it. And, in particular, the vigorous, popular Scarlet Runner Bean. Everything you wanted to know about runner beans but were afraid to ask. 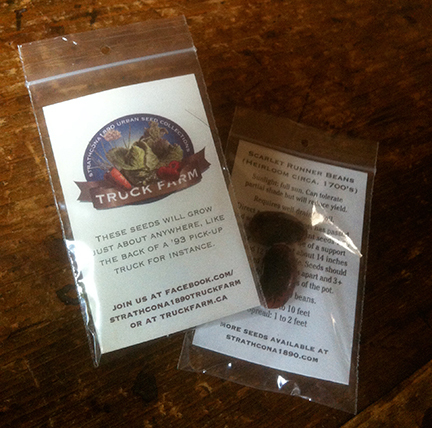 For the last 18 months I have been handing out free seed samples to people interested in gardening. 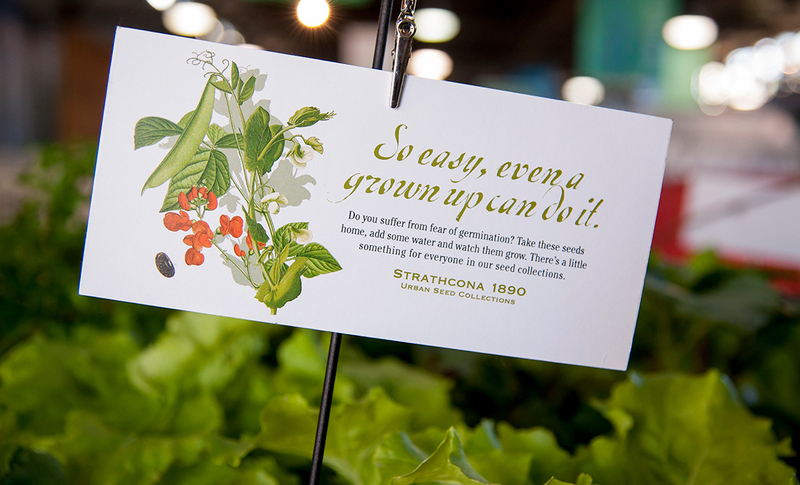 It is my way of inspiring people to grow, even a little bit, of their own food. My initial reasons for choosing Scarlet Runner Beans were that, apart from being exceptionally easy to grow, they were visually interesting, large beans that kids can handle. In fact my youngest son, whose title is “bean counter” does actually help me package some of the beans. Although I think he tops out at about 15 minutes and 6-8 packs, whereas I do about 90 per hour. But I digress. I knew they had been around for a long time, but apparently it is even longer than I originally thought. Runner beans have a incredibly long history. In general, beans are thought to have been cultivated in pre-Columbian Mexico as long as 7,000 years ago, while larger beans, such as runner beans, were cultivated in Peru beginning about 8,000 years ago. Evidence of bean cultivation has been found in archaeological remains only in Mexico in Durango and Puebla. The wild form of runner beans still exists from Chihuahua in Mexico to Panama, generally between 1400 and 2800 m in the humid high forest. annuals outside of the tropics where they go by numerous monikers: ayocote, patol or botil (Mexico), chomborote or piloy (Guatemala), cubá (Costa Rica) Although botanists call them Phaseolus Coccineus, I am never sure about pronunciation and will stick to “Runner Beans”. Their introduction into southern Colombia (Antioquia and Nariño) and Europe (where they go by scarlet runner bean and haricot d’Espagne) occurred in the seventeenth century before reaching other parts of the world. John Tradescant the Younger (4 August 1608 – 22 April 1662), a botanist who traveled to Virginia between 1628 and 1637, gets credit for introducing the bean to England. When his father died, he succeeded as head gardener to Charles I and Henrietta Maria of France, making gardens at the Queen’s House, Greenwich, designed by Inigo Jones, from 1638 to 1642, when the queen fled the Civil War. This could be the connection to the bean’s French name haricot d’Espagne. John Tradescant the Younger was buried beside his father in the churchyard of St-Mary-at-Lambeth which is now established as the Garden Museum. A century after the Scarlet Runner came to England, Philip Miller, through his Gardener’s Dictionary, popularized it as food, but it’s unclear whether he liked the bean green or shelled. In any case, when the English eat runner beans today they are nearly always in the pod. They are probably the most popular bean in England. They are usually eaten freshly cooked, with the ‘string’ around the sides removed and the bean pod sliced very thinly on the diagonal. Flavour is best when they are steamed. Wonderful with a little butter, salt and black pepper and a touch of garlic. They are not good to eat raw in quantity – as they contain the toxin phytohaemagglutinin – but a few, very finely sliced and given a brief dip in boiling water, make an interesting alternative to the classic round climbing beans in a salade niçoise. It is important to harvest the pods when they are three or four inches long; after that they develop strings and parchment. Prepare and cook pods as you would other green beans. Harvest the beans when the pods have dried on the vine to use as a substitute for garbanzo beans, limas or for refried beans. Since we cannot grow limas well enough in our cool Northwest climate, the scarlet runner is a good substitute. Corn, Beans and Squash are staples around which several civilizations have depended on for their existence. These three simple vegetables provided the basis of a nutritious diet that enabled the people to not only survive, but they thrived and spread their culture, spirituality and agriculture. Many traditions exist for the planting and growing of the Three Sisters, from the shared mounds to fields of corn and beans bordered by squash. It is an excellent combination to try if you have some extra space to spare. Corn requires a lot of nitrogen which beans help to fix in the soil, and squash helps keep insects at bay. If you add some summer savory to the planting it can improve the beans growth and flavour. It you are going to try this combo, I recommend you don’t plant the beans until the corn is close to a foot tall. I let impatience get the better of me last year and ended up with bent and broken corn stems (and no corn). Since Pachamama is a “good mother”, Bolivians usually toast to her honour before every meeting or festivity, by spilling a small amount of chicha (corn beer), beer or other alcoholic drinks on the floor, before drinking the rest. This toast is called challa and it is made almost every day. I am thinking I will add this to my Tuesday nights, although I will most likely be imbibing non-GMO Heineken. Heinken and Amstel Light say they use non-GMO grains, no artificial ingredients, stabilizers or preservatives. But I will save more info on that for another blog post. Why we still love them, even if we don’t get around to eating them. 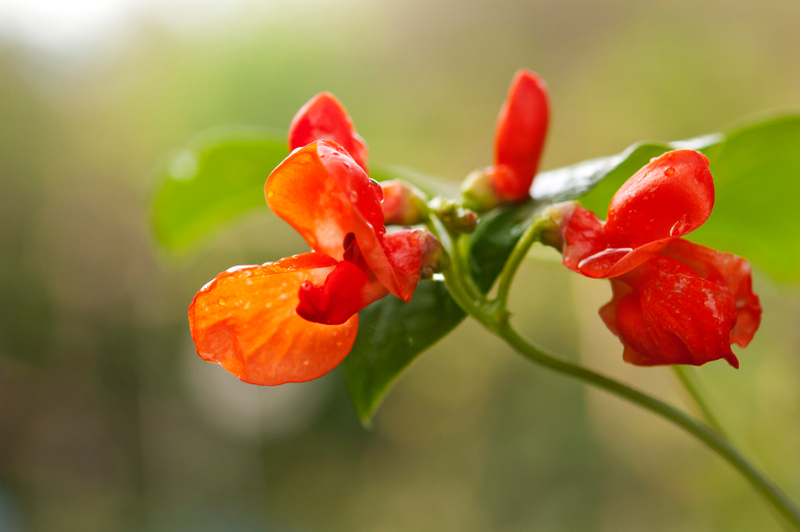 Many American gardeners love the Scarlet Runner Bean primarily as a hummingbird attractant, yet this particular variety was developed by the hummingbird-less English, who at first used the flowers in bouquets and as edible flowers. Because they are so vigorous, they can be grown up a circle of poles that are joined near the top to create green tepee for kids to play in and around. Had I the space I would love to great a grown up version to lounge in with a book and iced lemonade on a hot summer day. Mexico and Central America grow runner beans less than they used to, since the vines don’t fit well with modern monoculture. And Mexican and Central American farmers don’t grow the Scarlet Runner commercially. This is probably a saving grace since, to the best of my knowledge the runner bean has not been targeted for GMO The scarlet runner bean has been used on many occasions for improving the common bean but only in very few cases has its own improvement been addressed, although specialists agree on the hardiness of the species against several fungi, bacteria and viruses. Their fleshy root allows young shoots to re-sprout over several consecutive years. If you are a keener, you can dig up the root and replant them again next year. Mind you it is far simpler to just pop a few seeds into the ground in spring and start fresh. So, the runner bean is probably the closest thing I can find to Jack’s magic bean. I hope you will get the chance to try some, they are well worth the little effort they require.